A top Maoist commander, identified as Somda, was killed in a gun battle with security forces in Sukma district of Chhattisgarh on Thursday evening, police said on Friday. Sukma’s superintendent of police Abhishek Meena said the military platoon commander of the outlawed CPI (Maoists) was identified with the help of surrendered rebels. “We are expecting more casualties and it may take some more time to recover the bodies in the deep forests,” Meena said while speaking to the Hindustan Times. “We identified blood marks at different places in the forests suggesting more deaths,” he added. Another police officer said at least eight to ten more militants might have been hit in the gunfire. 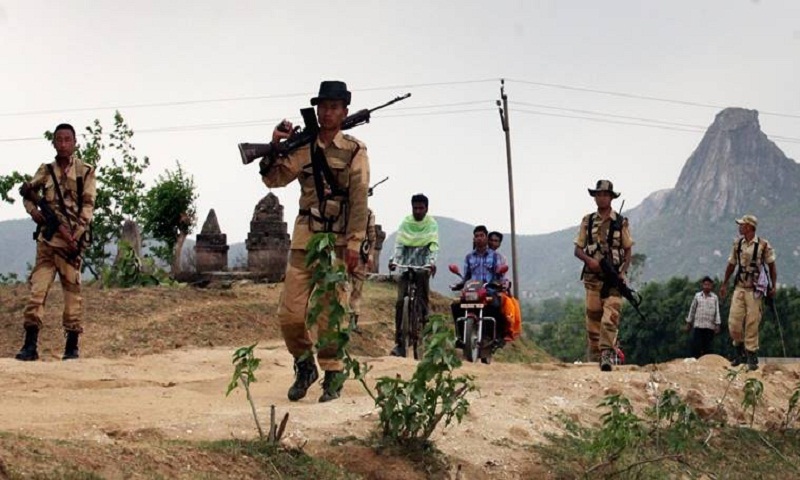 A joint operation involving District Reserve Guards and Special Task Force (STF) personnel was launched in border areas of Fullbagdi, Aranpur and Gadiras police stations in Sukma and Dantewada areas, sources said. “When the DRG and STF personnel were moving towards Sukma, they encountered a large group of 50-60 Maoists leading to an exchange of fire,” Meena said. The militants were said to have slipped into the deep forests, leaving behind their dead commander after the firing that lasted for more than an hour. Meena said police have recovered a self-loading rifle and two magazines from Somda. Thursday’s encounter is the second in a week in Sukma after nine Maoists and two security personnel were killed in Saklar village under Kistaram police limits on Monday, reports Hindustan Times.